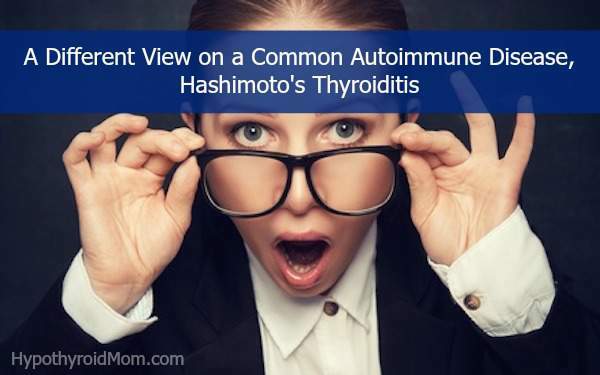 Hashimoto’s thyroiditis is an autoimmune disease that is characterized by an infiltration and destruction of the thyroid gland by the immune system. In this condition, immune cells produce antibodies against a key enzyme that is required for thyroid hormone production — thyroid peroxidase — and/or against thyroglobulin, which is the building block of thyroid hormones. Hashimoto’s is believed to be the most common cause of hypothyroidism in North America, and is among the most common causes of goiter in areas of the world where iodine intake is considered sufficient. An average of 1.5 out of 1000 people have this disease, it is 7 times more common in women than in men, and is most prevalent in those between the ages of 45 and 65. These symptoms often worsen over time, as the gland is progressively destroyed. Another aspect of Hashimoto’s is that patients may experience temporary symptoms of hyperthyroidism — this is known as “Hashitoxicosis”. In recent years, the intestinal immune system and bacterial flora have been found to play a key role in many different autoimmune diseases, such as rheumatoid arthritis. The intestine is in continuous contact with a wide variety of antigens from both food and microorganisms. Beneficial microorganisms in the intestine provide great benefit by forming protective barriers, aiding in the digestion and assimilation of nutrients, and in the development of the intestinal immune system. Fermentation products of intestinal bacteria also may inhibit inflammatory chemicals such as TNF-alpha, IL-6, and NF-kB[6,7] that can be part of autoimmune destruction. Overall, a well-balanced gut flora is important when considering autoimmune diseases such as Hashimoto’s. That said, many practitioners do use iodine therapy with Hashimoto’s patients. This part of the article will discuss the critical balance between two key thyroid nutrients, iodine and selenium. Much of the research about using iodine for patients with Hashimoto’s involves the effect of optimal selenium status. Selenium is a mineral that is found in high concentration in the thyroid, and the selenoproteins in that gland are involved in antioxidant defense; specifically in the action of glutathione peroxidase — a major cellular protector. These antioxidant defense mechanisms protect the thyroid from the reactive oxygen species that are produced as a byproduct of thyroid hormone synthesis. The three key enzymes involved in the activation and inactivation of thyroid hormones are also selenium-based in structure. Another interesting point is that the areas of the world where Hashimoto’s increased after iodization of salt were areas in which selenium deficiency is predominant as well. For example, a study comparing different provinces in China indicated that the provinces with the lowest intakes of iodine also had the lowest incidences of Hashimoto’s. Coincidentally, these provinces were also more deficient in selenium. Thus, we can conclude that selenium status may play a key role in preventing autoimmune thyroiditis, and that the balance between iodine and selenium is important for thyroid function. It is often helpful to check iodine status before supplementing higher doses of iodine. Urinary iodine testing is the most accurate (either a 24-hour urine iodine, or dried urine iodine test). Dr. Fiona McCulloch is a board certified Naturopathic Doctor who has been in practice since 2001 in Toronto, Canada. Dr. Fiona is the founder and owner of White Lotus Integrative Medicine, a busy urban clinic specializing in women’s health, endocrinology, and fertility. Her clinical focus is on the treatment of fertility and hormonal conditions and she is an avid writer and researcher, developing naturopathic treatment protocols for hormonal concerns based on the most current evidence. Fiona’s book 8 Steps to Reverse Your PCOS: A Proven Program to Reset Your Hormones, Repair Your Metabolism, and Restore Your Fertility is a must-read for every woman with PCOS. 1. Dayan, C.M. and G.H. Daniels GH. “Chronic autoimmune thyroiditis”. N Engl J Med. Vol. 335, No. 2 (1996): 99-107. 2. Kumar, V. The Endocrine System. Robbins and Cotran Pathologic Mechanisms of Disease, 8th ed. Philadelphia, PA: Elsevier, 2010: 1111–1205. 3. Jabrocka-Hybel, A., et al. “How far are we from understanding the genetic basis of Hashimoto’s thyroiditis?” International Reviews of Immunology Vol. 32, No. 3 (2013): 337–354. 4. Nabhan, Z.M., N.C. Kreher, and E.A. Eugster. “Hashitoxicosis in children: clinical features and natural history”. The Journal of Pediatrics Vol. 146, No. 4 (2005): 533–536. 6. Segain, J.-P., et al. “Butyrate inhibits inflammatory responses through NFkB inhibition: implications for Crohn’s disease”. Gut Vol. 47, No. 3 (2000): 397–403. 7. Macdonald, T.T. and G. Monteleone. “Immunity, inflammation, and allergy in the gut”. Science Vol. 307, No. 5717 (2005): 1920–1925. 8. Vaarala, O., M.A. Atkinson, and J. Neu. “The ‘perfect storm’ for type 1 diabetes: the complex interplay between intestinal microbiota, gut permeability, and mucosal immunity”. Diabetes Vol. 57, No. 10 (2008): 2555–2562. 9. Cindoruk, M., et al. “Increased colonic intraepithelial lymphocytes in patients with Hashimoto’s thyroiditis”. Journal of Clinical Gastroenterology Vol. 34, No. 3 (2000): 237–239. 10. Sasso, F.C., et al. “Ultrastructural changes in enterocytes in subjects with Hashimoto’s thyroiditis”. Gut Vol. 53, No. 12 (2004): 1878–1880. 11. Chatzipanagiotou, S., et al. “Prevalence of Yersinia plasmid-encoded outer protein (Yop) class-specific antibodies in patients with Hashimoto’s thyroiditis”. Clinical Microbiology and Infection Vol. 7, No. 3 (2001): 138–143. 12. Schmidt, E.G.W., et al. “Antigen-presenting cells exposed to Lactobacillus acidophilus NCFM, Bifidobacterium bifidum BI-98, and BI-504 reduce regulatory T cell activity”. Inflammatory Bowel Diseases Vol. 16, No. 3 (2010): 390–400. 13. Zhou, J.S. and H.S. Gill. “Immunostimulatory probiotic Lactobacillus rhamnosus HN001 and Bifidobacterium lactis HN019 do not induce pathological inflammation in mouse model of experimental autoimmune thyroiditis”. International Journal of Food Microbiology Vol. 103, No. 1 (2005): 97–104. 14. Hadithi, M., et al. “Coeliac disease in Dutch patients with Hashimoto’s thyroiditis and vice versa”. World Journal of Gastroenterology Vol. 13, No. 11 (2007): 1715–1722. 15. Chen, X., et al. “Effect of excessive iodine on immune function of lymphocytes and intervention with selenium”. Journal of Huazhong University of Science and Technology. Medical Sciences Vol. 27, No. 4 (2007): 422–425. 16. Fasano, A. “Zonulin, regulation of tight junctions, and autoimmune diseases”. Annals of the New York Academy of Sciences Vol. 1258 (2012): 25–33. 17. Drago, S., et al. “Gliadin, zonulin and gut permeability: Effects on celiac and non-celiac intestinal mucosa and intestinal cell lines”. Scandinavian Journal of Gastroenterology Vol. 41, No. 4 (2006): 408–19. 18. Fasano, A. “Leaky gut and autoimmune disease”. Clinical Reviews in Allergy & Immunology Vol. 42, No. 1 (2012): 71–78. 19. Mazokopakis, E.E., et al. “Effects of 12 months treatment with l-selenomethionine on serum anti-TPO levels in patients with Hashimoto’s thyroiditis”. Thyroid Vol. 17, No. 7 (2007): 609–612. 20. Xu, J., et al. “Supplemental selenium alleviates the toxic effects of excessive iodine on thyroid”. Biological Trace Element Research Vol. 141, No. 1–3 (2011): 110–118. 21. Xue, H., et al. “Selenium upregulates CD4+CD25+ regulatory T cells in iodine-induced autoimmune thyroiditis model of NOD.H-2h4 mice”. Endocrine Journal Vol. 57, No. 7 (2010): 595–601. 22. Contempre, B., et al. “Effect of selenium supplementation in hypothyroid subjects of an iodine and selenium deficient area: the possible danger of indiscriminate supplementation of iodine-deficient subjects with selenium”. The Journal of Clinical Endocrinology and Metabolism Vol. 73, No. 1 (1991): 213–215. 23. Chong, W., et al. “Multifactor analysis of relationship between the biological exposure to iodine and hypothyroidism” (article in Chinese). Zhonghua Yi Xue Za Zhi Vol. 84, No. 14 (2004): 1171–1174. 24. Tong, Y.J., et al. “An epidemiological study on the relationship between selenium and thyroid function in areas with different iodine intake” (article in Chinese). Zhonghua Yi Xue Za Zhi Vol. 83, No. 23 (2003): 2036–2039. Junk. Iodine helps normalize thyroid. Most Americans highly deficient.